The very first play I saw on Broadway was the original production of D.L. Coburn’s The Gin Game. By then, Hume Cronyn and Jessica Tandy had left, and been replaced by E.G. Marshall and Maureen Stapleton. No matter: it was still a once-in-a-lifetime evening watching those two deliver performances so perfect they made me weep. 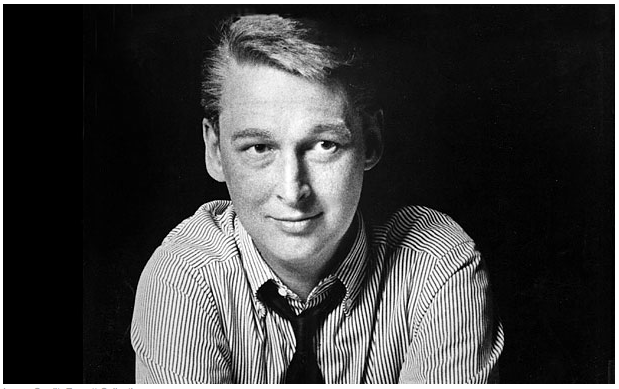 I don’t think it registered that the genius who made the whole thing spin was Mike Nichols. A few years later, I’d have the same sense of overwhelming fulfillment watching The Real Thing with Glenn Close and Jeremy Irons. There, it was easier to see the hand of the director, especially in the near-cinematic ease with which scenes dissolved from one to the next, but the thing I walked away with was the story, a tale of the theater, of romance and the power of pop music. That was by design. The hand of the best directors are invisible, subverted for the sake of giving form to the best representation of the tale that unfolds. I regret I didn’t see more Nichols’ staging of plays (the idea of Spamalot was enough to keep me away) but I caught all of the films–Who’s Afraid of Virginia Woolf?, The Graduate, Carnal Knowledge. All the magnificent work he did with Meryl Streep in the 80s–Silkwood, the underrated Heartburn, Postcards from the Edge and Angels in America; in Angels, Emma Thompson was never better, or in the Nichols-helmed Primary Colors and Wit. Working Girl. Closer. What a list–what stories. What a director, to capture the way we were in an America not so long ago. Thanks for the mirror–RIP.